Tired of stressing out about high winter fuel oil bills in the South Shore area? Fossil Fuel can make those stresses extinct with our Budget Plan. When you enroll in Fossil Fuel’s Budget Plan, you enroll in peace of mind. Enjoy consistent, evenly distributed heating oil bills on an 11-month payment period. We estimate the fuel usage of your home based on previous years’ consumption, future weather patterns, and your family’s heating preferences to find the amount of oil you will use for the following year. 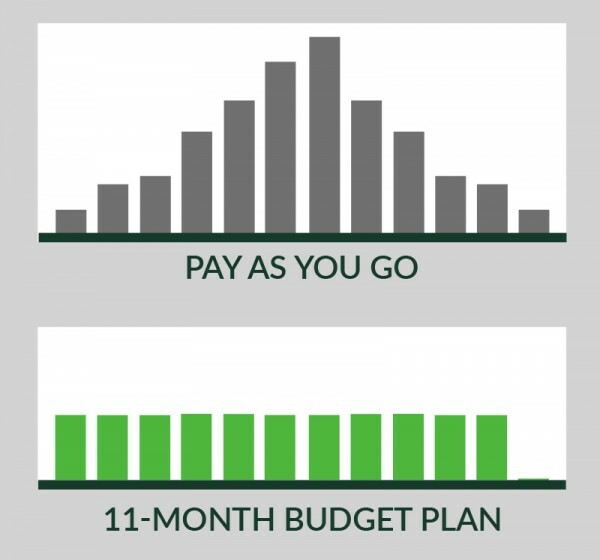 We divide that total by eleven months to give you a consistent monthly payment throughout the year. Enjoy stress-free, worry-free heat all winter with added automatic delivery included in your Budget Plan.